TV show dates: July 28, 2018 — present. Performers include: Marcia Clark (host). 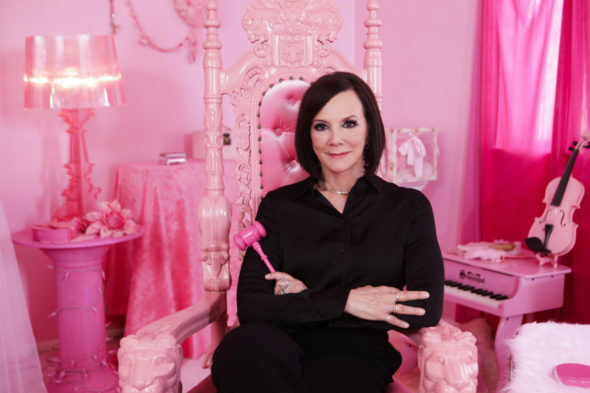 A true crime series, the Pink Collar Crimes TV show comes from executive producers Jon Kroll and Sharon Liese. Hosted by author and former prosecutor Marcia Clark, the docu-series delves into a growing crime demographic — women. As PTA mothers, country-club chairs, and more, these women do not fit the profile of the usual suspects. Still, they have taken big risks, taken in some big bucks, and served sizable sentences. What do you think? Do you like the Pink Collar Crimes TV series? Should this CBS TV show be cancelled or renewed for another season? I found this show to be interesting. I hope it doesn’t get cancelled. I’m upset about this program. there is no way that a person robs 4 banks and gets a sentence of 3 mos prison time. but I guess its for certain people because that’s how this country operates. she should have gotten at least a 20 year sentence, fake gun or not. there are so many people who have gotten killed by the police for much less. don’t care for this program, its only for the priviledged. I tried watching this last night & did not care for it all. It moved slowly & the attitude of the person being profiled was very off putting. I love crime shows,but I was not drawn into her story at all. Neither was Marcia Clark a decent narrator.